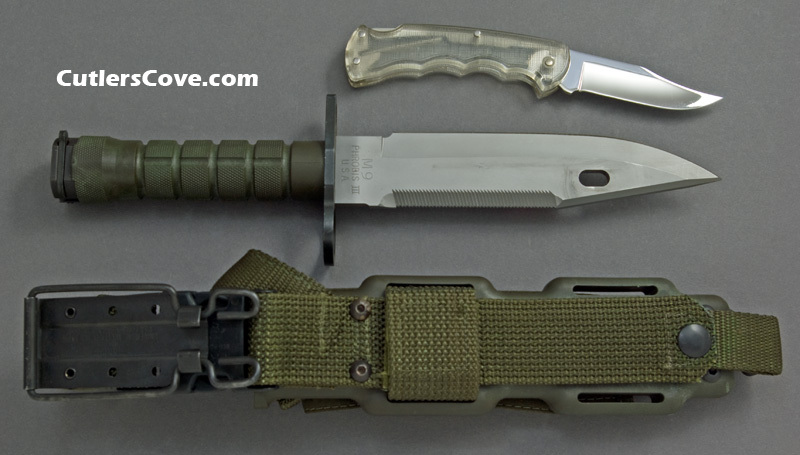 Buck Phrobis III M9 Bayonet near mint, not sharpened, with original nylon sheath and Bucklite 112. It is 12-1/4" overall with dull blade. It has Buck’s name but no model number as seen in front side photo below. 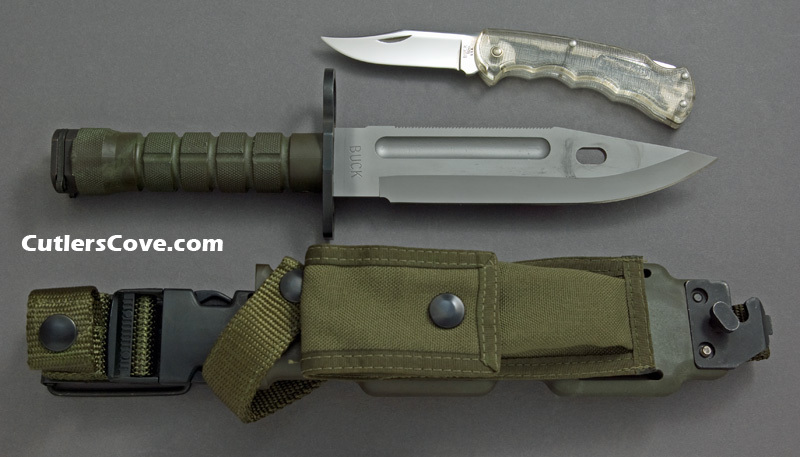 This is marked Flat Top "M" Three-Line M9 Bayonet as seen in back side photo below. I think it is a 2nd generation. The mint Bucklite 112 is marked BUCK 112<· U.S.A. The date mark on Bucklite is for 1986. Only marks on blade are limited to minor scabbard storage marks and minor surface scratches as pictured from taking the knife in and out its sheath. Dolphin on crossguard and scabbard are crisp. Original scabbard stone is mint. It is a (OD Green) Buck Bayonet. The back of the belt clip reads "Bianchi International Universal Military Holster U.S. & Foreign Patents Pending". The sheath also has the Dolphin Phrobis mark on the back by the wire cutter. Made in the USA.